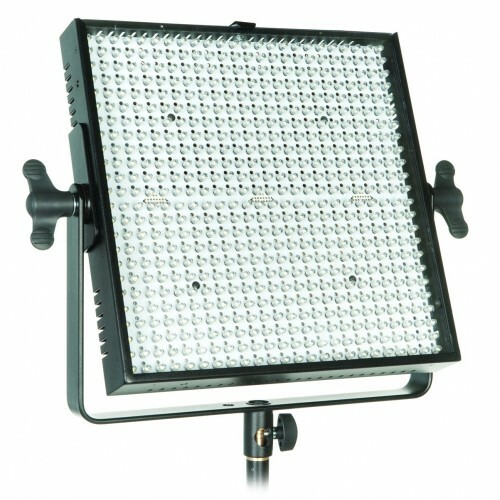 Under their new 'Limelite' filmography brand, Bowens have launched the Mosaic, a square LED array designed for video and stills lighting. The Mosaic panel measures 30cm by 30cm with 576 individual diodes. It puts out white light with a colour temperature of 5600K (±200K) and a claimed intensity of 4200 Lux. You can dim the output from full power all the way down to zero, with the option of displaying the setting in terms of f-stops for the benefit of stills photographers. 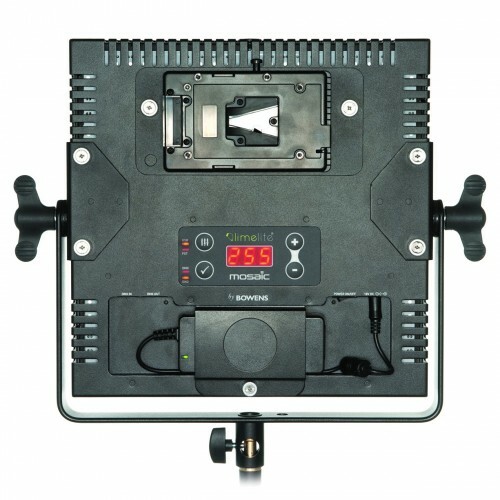 According to the manufacturer, “the panel is capable of producing output three times brighter than more expensive lights of similar size”. They don’t specify which products they are referring to in that comparison. Industry-standard accessories, such as DMX I/O control and V-lock batteries, are fully compatible with the Limelite Mosaic. You can mount the light on any 5/8″ stud such as those found on stands, booms and HiGlide supports. Other accessories such as barndoors and colour filters will be available from Limelite.